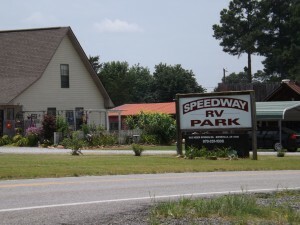 Speedway RV Park is a full-service RV lodging facility serving the Arkansas Ozarks. 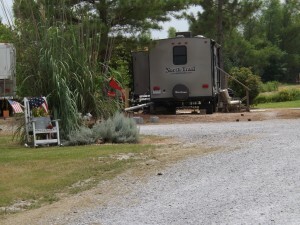 We offer first-class accommodations to RV-ers visiting beautiful Batesville, AR and the famous White River. Amenities include an RV dumping station, climate-controlled bathrooms with handicap accessible showers, a laundry room with washer and dryer, free cable TV, wireless Internet, and soda and ice machines. Speedway RV Park is located on Hwy. 25 just 5 minutes south of Batesville and 4 miles from the Batesville Speedway. Big rigs will appreciate the quality highways accessing Batesville and the RV park. Highway 167 is now 4 lanes all the way to Little Rock. Speedway RV is only 40 minutes from Greers Ferry Lake, a 40,000-acre pristine Ozark Mountain lake. A 45 minute drive northwest will take you to Mountain View, well-known for pickin’ and grinnin’, the Ozark Folk Center, and Blanchard Springs Caverns, and we’re 1 hr. away from Hardy and the Spring River. But you don’t have to go far to find a great fishing hole. The famous White River is only 5 minutes from the park.